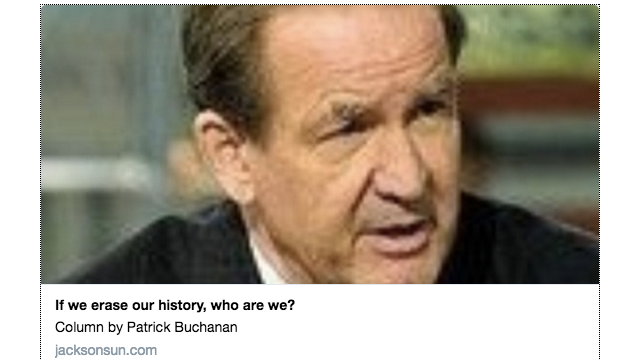 The Jackson Sun Publishes Questionable Piece by Pat Buchanan–But Why? The only reason we can see for the Jackson Sun publishing Pat Buchanan’s defense of we’re not sure of what, exactly, is that it is controversial, and the relationship between controversy and clicks is too cozy for anyone’s good. Because we found nothing good about this piece, not the message–which appears to support the idea that Western Civilization, a lazy euphemism for white people, is superior to other cultures–nor the argument, which manages to be unsupported, desultory and ultimately lacking a point. What is more historic than the phrase “all men are created equal,” taken from the Declaration of Independence, the text that established the justification for the decision by the colonies to break away from England? Ideological? Sure. It set the foundational belief of an emerging nation. Of course, the application of that ideology has and continues to be improved upon. Men back then meant men, and all men was really was more about all the rich, white landowning men. But we learn, we grow, we address the dark deeds of the past, we seek to fix them, without forgetting. Which brings us to the um, yes, portion of Buchanan’s argument. 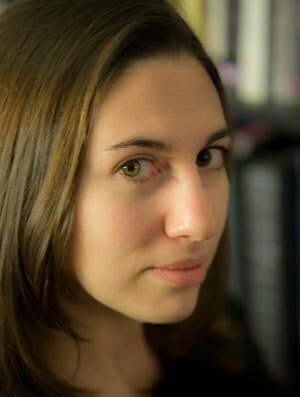 We’ve been erasing our history for decades, for centuries, ignoring the very issues Buchanan brings up–the brutal campaigns against Native Americans by Columbus and the conquistadors, the racist sentiments and policies promoted by leaders past–in favor of a whitewashed narrative that focus solely on the positive and dismisses the negative. This is precisely why our society is coming around to contending with both the bad and good inherent in the beliefs and actions of our Founding Fathers and other American leaders. One doesn’t erase the other, but we must acknowledge both. But this is not what is happening with the Confederate monuments. There was no good mixed in with the bad of the Confederate cause, whose self-declared purpose, was the preservation of slavery, or the symbolic erection of those monuments during the Jim Crow and Civil Rights eras. What, then, was the point Buchanan was making in acknowledging Western civilization’s brutal past? That it somehow makes it ok, decades and centuries later, to inhabit those same destructive and outdated beliefs? It’s not, in case we need to make that clear. Or is his point that “Western Civilization, which we call great” is not so great that it can advance past the violent and regressive portions of its legacy? Or is the point something else entirely? Editor’s Note 2:47 p.m.: This article and headline originally stated that USA Today published Buchanan’s piece. It was not published by USA Today, but because of publishing glitch originally appeared with a USA Today URL. The link has since been corrected to reflect that the article was published in The Jackson Sun, a Tennessee paper that is part of the USA Today Network.